Everything that matters is in the \Assets directory. 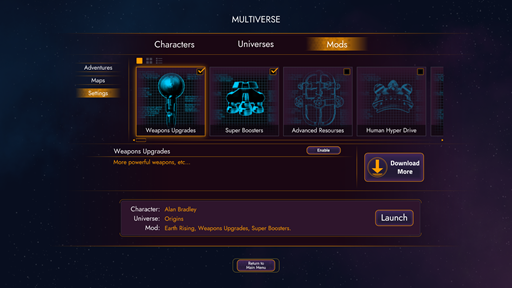 Each universe is equivalent to the Assets folder. 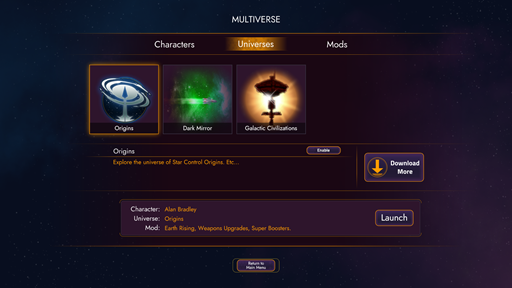 If I want to create a whole new universe, then my changes would go into the universe folder (which ultimately gets its own unique name when downloaded by others in order to prevent file conflicts). 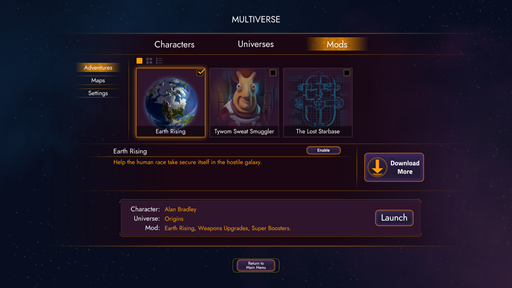 To use mods, you need to launch from the upcoming "Multiverse" option (instead of "new game"). 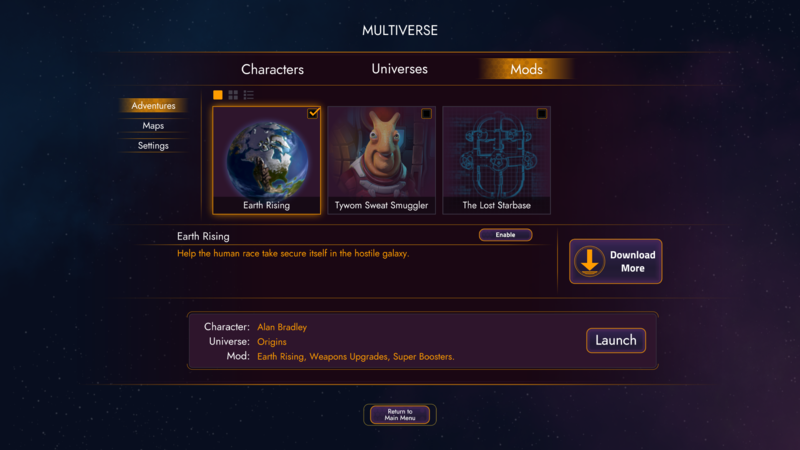 So selecting a universe and launching the game will launch the game with that universe. But you might now ask: how about saved games? How do I use mods with them? To answer that, we need to not think of "saved games," but characters. At any time, in a game, you can click on the Characters tab and then create a character based on your current (most recent) game save. This character is then uploaded to our servers. So like I said, mods mirror what is in the \assets directory structure. Then modify it. And then the game will replace the file of that name with yours when the game loads. That's basically how it works. The game looks at what files you have in the appropriate game universe folder, then it looks to see if it's a new file or a replacement. If it's a replacement, it replaces the one that is in the Steam directory. You'll be able to play with the parameters in those files. A lot of them are pretty straight forward, but others will take some trial and error. This is the base one. 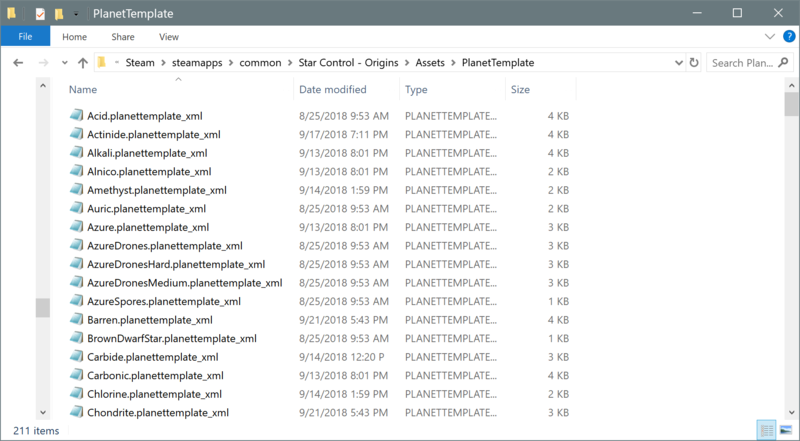 But you can create the same directory structure and just add MyStar.xml and it will add just your star to the existing universe. Try opening that file and looking at it. In the upcoming modding bible we'll go through the editors and such for this. We'll talk about Adventure Studio in the modding bible, but the files you will be creating with it will go into those folders. We'll be making our own examples and uploading them. To turn them on and off you would go to the Mods tab and select which adventures you want. 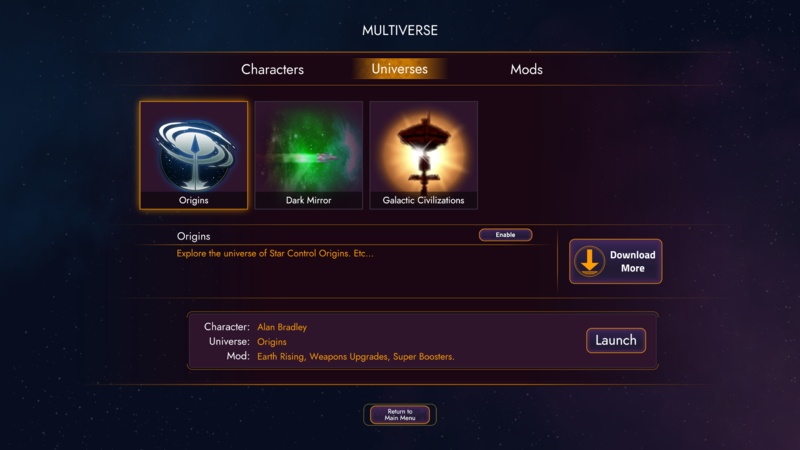 Controlling what mods are in use and what aren't is handled by the Mod Manager itself. What character (saved game state of your character) are you using? 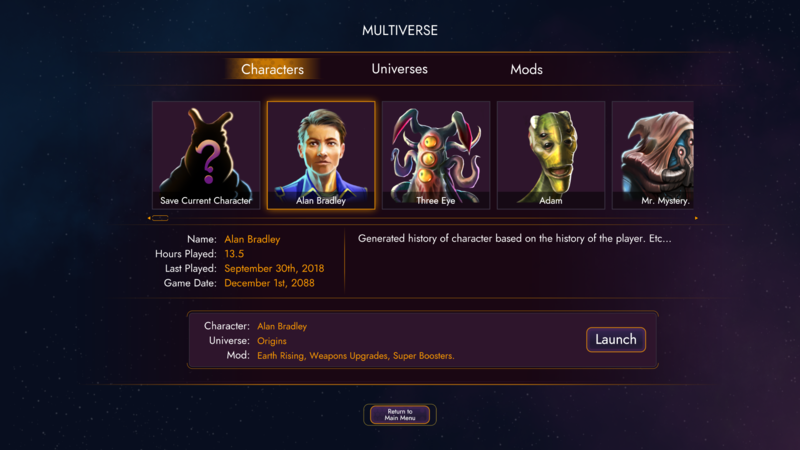 What universe are you playing in? What mods do you want active? From those 3 choices, you then press the Launch button and off you go! This feature will be turned on with version 1.1, which is due in early October. Between us and the community, we hope you will have an endless supply of worlds to discover and adventures to have thanks to this system. How bout for Founders, if I recall correctly, weren't Founders suppose to get modding tools? Can you explain them and are they different from what everyone else gets? 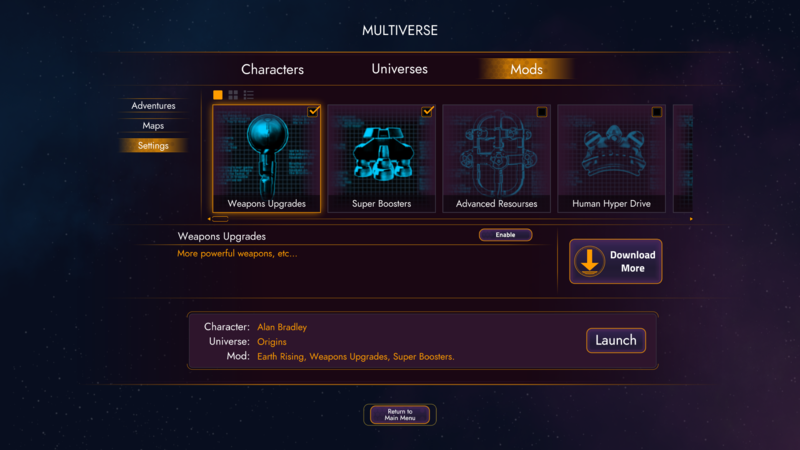 I am already thinking of a modded sector!!! It is time to start some ship design!